"I can think of no other book that resembles Revolting Bodies? No one else has theorized on the shifting, self-contradicting, wildly political rhetoric of fat oppression. I look forward to using the book in my undergraduate women's studies classes, and I can imagine that it will be used in graduate courses in anthropology, philosophy, and psychology, as well as more professionally oriented classes in social work and nursing...Lively, accessible, stimulating, and at times even profound." Viewed as both unhealthy and unattractive, fat people are widely represented in popular culture and in interpersonal interactions as revolting - as agents of abhorrence and disgust. This work argues that if we think about ""revolting"" in a different way, we can recognize fatness as not simply an aesthetic state or a medical condition, but a political one. If we think of revolting in terms of overthrowing authority, rebelling, protesting, and rejecting, then corpulence carries a whole new weight as a subversive cultural practice that calls into question received notions about health, beauty, and nature. It examines a number of sites of struggle over the cultural meaning of fatness. 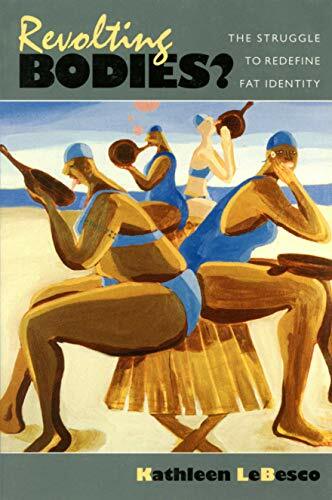 It is grounded in scholarship on identity politics, the social construction of beauty, and the subversion of hegemonic medical ideas about the dangers of fatness. The text explains how the redefinition of fat identities has been undertaken by people who challenge conventional understandings of nature, health, and beauty and, in so doing, alter their individual and collective relationships to power.